CamelWay Machinery manufacture is one of the large-scale enterprise specializing in construction machinery. The company was found in 1983. In 2000, the company passed ISO9001 Quality System certification. The company with four factories,380,000m2,32 workshops,and over thirty-three years concrete mixing machine produce experience. The company has an extensive user base in the country, enjoying a high popularity. 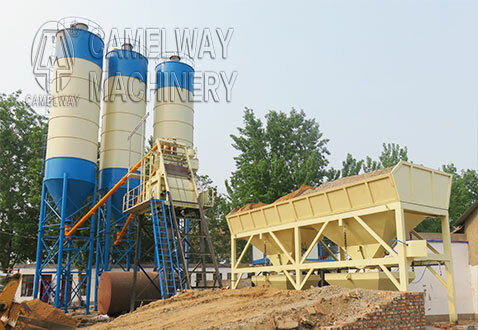 Some products are exported to Vietnam, Laos, Kazakhstan, Mongolia, Russia, Cuba, Brazil and other countries, being highly praised by foreign friends.Zhengzhou CamelWay Machinery offers HZS60 concrete batching plant, HZS90 concrete batching plant, HZS120 concrete batching plant, HZS180 concrete batching plant. They are all belt conveyor concrete batching plants. HZS25 concrete batching plant, HZS35 concrete batching plant, HZS50 concrete batching plant and HZS75concrete batching plant are also on our catalog. This entry was posted in Solution and tagged mixing plant company by camelway. Bookmark the permalink.